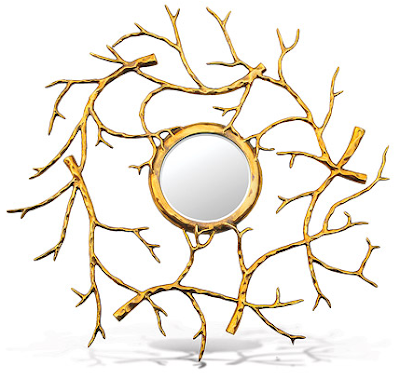 I never knew how stunning a mirror could be until I discovered Made Goods. 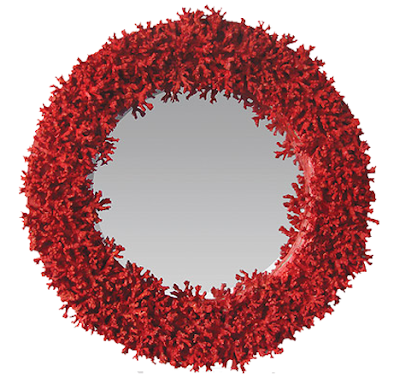 The company works with family craftsmen around the world to create these truly unique and memorable works of art that serve more as a focal point in a space than your typical mirror. The collections range from romantic and sophisticated to bold statement and globally influenced pieces. 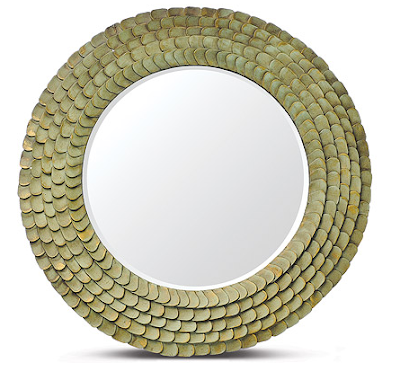 Each one is crafted from unique and unexpected materials, which are what make these mirrors so amazing. What do you think?! Are you loving them as much as I am? 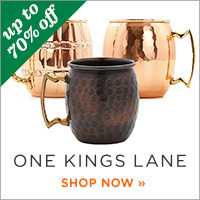 Click here to view all three collections. Beautiful finds! 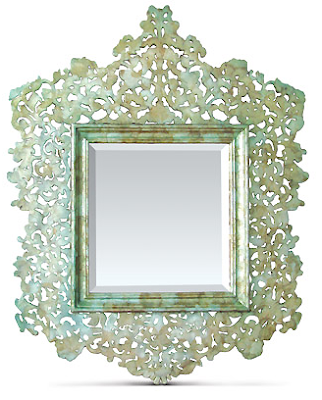 I'm still trying to decide upon a mirror for several rooms and am happy to check out these unique craftsman delights. these are so great! i couldn't even pick my fav. 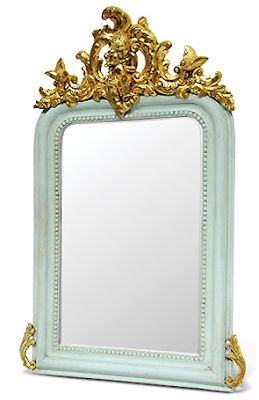 oh, wow, stunning mirrors! I love them, they're so original and beautiful. wow julie these are great! 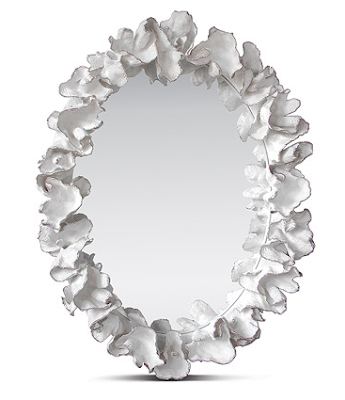 i love mirrors, they give such lovely brightness to any room. have a beutiful day! 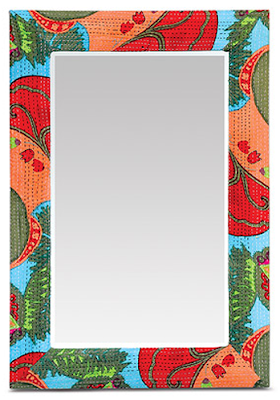 Those are some fantastic mirrors! 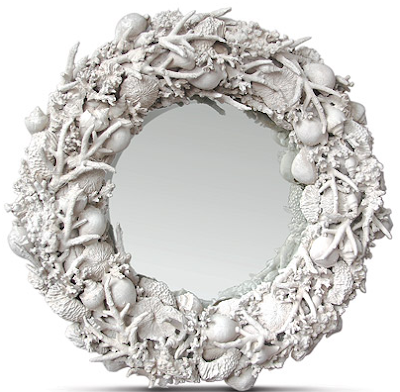 The sea shell mirrors are quite amazing. I'm not sure how you'd order, I guess you just email them. 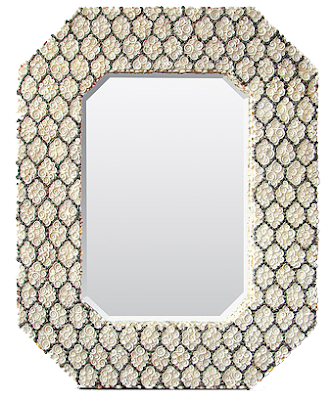 holy cow, my heart stopped at the site of that beaded & gilded mirror, 5th one down. i hadn't heard of this company but glad you brought them to our attention! 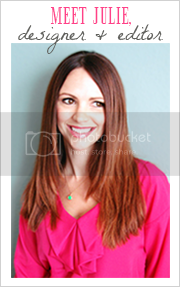 hopefully you can sell any or all on your new website? so gorgeous. 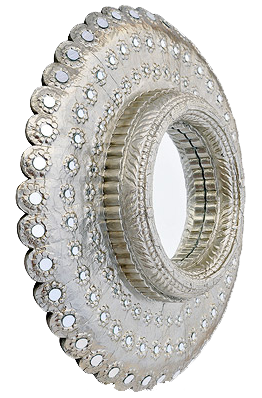 mirrors not only add space dimensionaly but they are their own sculpture sometimes aren't they! I'm addicted to mirrors! They add great texture and light and expand the room that they're in. It's bad- I literally have to look around the room, counting them (big and small, and usually have to cut myself off. These are gorgeous, but I'm going to remain strong.